Forex trading platform is a name associated with software whose purpose is to create a link between brokers and traders. The most important decision for a trader is to choose a trading platform that satisfies his needs and works according to his trading style. Majorities of the forex trading platforms are free of cost. Along with that, a demo platform is being provided from the client that can be downloaded. The purpose of the demo is to give the trader a test drive, so they can construct their strategies. The execution of orders becomes very easy with the help of forex trading platforms. A trader will get to know this once he is done with the evaluation of the trading platforms. Since, the forex market remains open for 24/7, it is important to have a platform that can easily do your job while you are sleeping. For instance, most of the trading platforms enable to enter a market position at a specific time to place a stop loss. There is another handy function, which may be provided by some brokers is the back test different strategies. To access this type of service, the use of historical is required. Some platforms offers this exclusive function with a little money subscription fee. Trading platform is one of the most important things that most of the forex brokers offer to their clients. There are certain trading platforms that are offered by the forex brokers such as proprietary platform that belong to one broker and other platform designed and maintained by companies that can be used by different brokers. Among the trading platform the best is the MetaTrader 4. Some of the serious forex broker offer Metatrader trading platform which was developed and designed by a software company known as Metaquotes Software Corporation. But this company does not offer service like brokerage. For those retail traders who are looking for utilities and technical analysis indicator with excellent indications, MetaTrader 4 is the best and most popular trading platform. 1. Programming opportunities – coding systems in trading are offered by Metatrader which are internal. With this system technical analysis tools are built up by some traders to backtest and automate their trading strategies. 2. 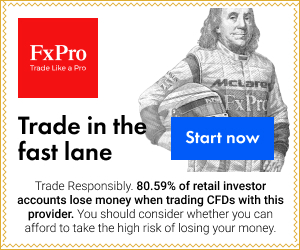 Free for traders – Traders can use Metatrader 4 in demo trading as well as in live forex trading as it is free for traders. 3. Community – the community surrounding the product and its usage by the traders becomes most beneficial because Metatrader 4 is one of the most commonly use trading platform. Most of the traders use MetaTrader 4 for custom indications, trading strategies and tools that can be used by every person. 4. Widespread usability – the widespread of Metatrader as a trading platform and due to its high usability it is famous. it can be work on XP, windows 98, windows 7 and Vista. It can also work WINE. Another independent and popular forex trading platform is the TradeStation trading platform. This trading platform can be downloaded by the clients from the forex brokers as t is licensed. TradeStation Technologies Inc. developed this trading platform. Before TradeStation were normally used for bonds, commodities, stocks, financial markets and for other options. In the year 2003 TradeStation come up in the market and hence there was a turning point in the trade leaving behind the foreign exchange market. And from 2003 most of the traders are using this trading platform especially by professional and retail traders. You can also buy this trading software if you do not want to use any company as a brokerage firm. The pricetag of the TradeStation differs from that of the professional to the individuals such as $299.99 for professionals and $249.99 for individual traders. In TradeStation forex data comes with free and for accessing bonds, stock markets and options you need to pay for that. But for large accounts investors cost of TradeStation is paid by the forex brokers. And for the upfront cost of $249-$299 a monthly fee is charged by the brokers for using TradeStation. In times in order to conduct trades foreign exchange trading platforms may also be developed by the forex brokers for their own. But if once developed by a forex broker the trading platform becomes proprietary and are owned, use, maintained and designed by individual forex broker firm. Forex traders are also given trading platform which the brokers use. A trading platform owned by an individual forex broker sometimes may not provide trading platform to the customers for free. They may not allow the use of MetaTrader 4 by their clients. But some forex brokers provide free TradeStation or at cost depending on the volume. •	Offers 30% bonus on over five thousand dollar initial deposit. •	Trading permitted for commodities, currencies, CFD and Stock Indices. Choosing the best trader in the forex market plays an important role as your talent in trading. It might happen that you select a trader who do not offer the proper tools or by whom you will not able to get back your money by withdrawing the funds. As there are several forex traders, you will not find a bad trader. Consider these aspects and perhaps develop a list of things that you must notice in a trader before you start an account with him. The first important thing is it would be ideal to consider a trader if they have a registration with CFTC or is a member of NFA. Both of them are self -regulating companies that impose certain rules that the Forex traders must follow for maintaining the membership. These traders proudly show the membership on the page named as “About us” or you can also find them in the first page. Moreover, the NFA website and FTFC allows one to look at the firm by ID or name. If the website that you are visiting claims that you will receive all types of success and reveal secrets of trading, then most probably, it is not a trustworthy company. You should not believe in the false claims that the companies make to sell their product. A trustworthy Forex trader provides you a general platform like Metatrader and few equipment like chart pattern pointers. Most of the time, these are involved without any type of extra investments. One should get familiarized with the different kinds of Forex trading accounts and a currency trader who will be offering what you want. There are different types of accounts like basic accounts, micro accounts and many more. These types of accounts are generally based on the sum of money that you are planning to spend and limit the quantity of money you can deal with. Micro accounts which needs an investment of just 100 dollars or less than that generally allows few currencies to trade. Another vital thing to remember is that trades that one places in such accounts never reach the actual market as they just impact fluidity of the trader. You will also come across something called as market depth which is normally an excellence that a huge account might offer. Your trade requires a minimum amount for creating an influence on the financial market. Find out how large is the operation of your Forex broker and with whom they have connections in the market. You might find brokers who have a direct connection with an exchange. They generally handle large operations ad may be located in New York or London. Customer service with any type of organization plays an important role while selecting the company with which you are planning to do business. 24 hour service and the quality of assistance are perfect. Talk with customer care team and ask them several questions that you have in your mind. If you find customer service not to be of much help, you should believe that the broker does not run an authentic operation. This can also offer certain legitimacy level to small brokers as they are an associate of a large firm. At first you should open a small account with a small deposit for testing the waters of Forex broker and upgrade it when you are totally ready. Lessening the risk in investments is true not only in the market but in the process of broker selection. There are several reviews of Forex broker and rating sites that offer stories of various dealers and the experiences they had with the other traders. Pay attention to several reviews that publish the several troubles that one might face while trading. After researching, select a Forex broker who suits your demands and offers an absolute platform to trade. Read the ratings and reviews of Forex broker. Take a note of the features of Forex account, contact the customer care and pay attention to the businesses that are registered legally. Last but not the least, never forget to use the demo account of the Forex broker with an amount of money that you are planning to invest in trading, but keep in mind that the demo is not stored in the same server where a live one is stored.